I spoke at the Hemp CBD Expo at around 5.00pm on Saturday, 2nd March 2019. Below is my speech as originally composed. An audio file is available here. A video will be available shortly. My PowerPoint presentation file is here. “Good afternoon ladies and gentlemen. My name is Peter Reynolds and I am the president of CLEAR Cannabis Law Reform. We were founded in 1999 and we now have around three-quarters of a million followers on social media and we’re approaching a total of 5,000 paid up members. That makes us the longest-established cannabis group in the UK and our follower and membership base is several times that of all other UK drugs policy groups put together. 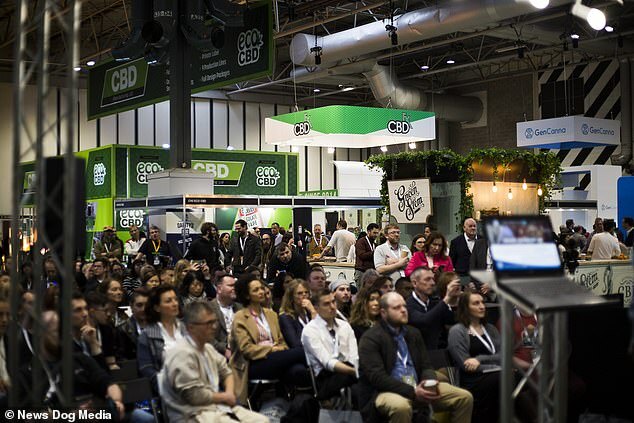 Last year we launched Cannabis Professionals or CannaPro, the trade association for the UK’s cannabis, CBD and hemp businesses. I am going to explain to you why, what we think we can contribute to this industry and how we are going to do it. First of all though I have some BREAKING NEWS! Downing Street has just confirmed that the mastermind behind the FSA’s decision to place CBD products in the EU Novel Food Catalogue is none other than Theresa May’s number one fixer, Chris Grayling! Now that’s not really true, in fact it’s fake news but there is a kernel of truth in it and that is that just like everything else Grayling touches, this move is the height of incompetence and just as many are calling for Grayling’s blood, so too they will be calling for some accountability at the FSA. First of all, these are CLEAR’s aims and objectives. It’s a pleasure to be asked to speak to you today and I do think that this event represents a significant moment in the legal cannabis industry in the UK. Of course we’ve had a legal cannabis industry for thousands of years. There was just a brief interlude between 1964 and 1993 when even the cultivation of industrial hemp was banned. So, although there have been severe restrictions on cannabis since 1928, it was actually only those 29 years when there was no legal industry at all. The CBD business as we know it today started in about 2012 and at CLEAR we saw immediately what it was about. By then, largely due to uptake of the internet, knowledge of the medicinal benefits of cannabis was exploding. People were looking for a way that they could enjoy these benefits without breaking the law. The big leap came with the story of Charlotte Figi, when the almost miraculous effect of CBD on epilepsy became widely understood. It was really in 2013/14 when CBD websites started to appear in numbers. Back in those early days the leading brands were Plus CBD and, of course, Charlotte’s Web. In Europe, Endoca was leading the way. And now look where we are! This show is the realisation of a market which no one has really quantified but is certainly worth at least £50 million a year and probably a whole lot more. At CLEAR we realised very early on that the way this market developed was going to have a huge influence on wider cannabis law reform and that’s why we have been deeply involved with it from the very beginning. I genuinely believe that the medical reforms last year only happened because the booming CBD market has washed away a lot of the stigma around cannabis and shown hundreds of thousands of people that it does have real therapeutic benefits. And here we come to one of the most difficult aspects of this business. CBD businesses are not allowed to claim or imply any medicinal benefits from their products yet you can be absolutely certain that is exactly the reason most people are buying them! I cannot think of another market or a comparable situation where anything like this has happened before. It is one of the principle reasons why we are facing such opposition from the medical and big business establishment. I have never been a supporter of the Big Pharma conspiracy theory that pervades the cannabis campaign. Particularly in the USA, the pharmaceutical industry is thought to be almost entirely responsible for continuing federal prohibition. In fact if you read Facebook comments from our American followers you’d think that Big Pharma was responsible for nearly every problem on our planet! Now I don’t say there’s no truth in it at all but there’s precious little evidence aside from the isolated instance of Insys Therapeutics where the former directors are now looking at very long jail sentences for a variety of corruption offences. But there’s not much else to support the theory. In fact, if Big Pharma could harness the healing power of cannabis that some of the more extreme evangelists claim for it, they’d be all over it. And no, it’s not true that you can’t patent cannabis, there are hundreds of patents on extracts, applications and techniques. It is a different world in America though, far more competitive about medicines because they don’t have an NHS. Unlike here, drug companies advertise direct to the public and branding is as big in medicine as it is in soft drinks or fast food. However, I do think that the intervention in this industry from the MHRA back in 2016 and now the FSA has some sinister, vested interests behind it. I think major corporations see a potentially huge market here and it would suit them for it to be so heavily regulated that only the biggest businesses can make it work. I also think it’s a pathological obsession of bureaucrats to interfere when something big is happening which they haven’t got their claws into – and I think these regulators are being improperly influenced to interfere when there’s no real justification. 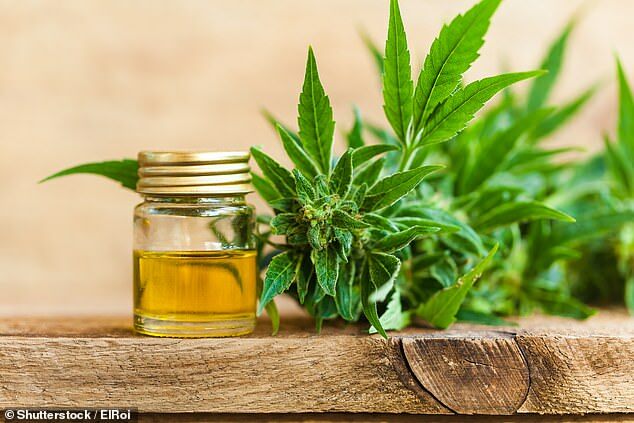 After all, the World Health Organisation has given CBD a clean bill of health, not in the equivocal way that most such decisions are made but absolutely. It says CBD is safe. I’ve had a number of meetings with the FSA over the past 12 – 18 months. The most recent being on 1st February about the current novel foods debacle. One moment stands out from that which is instructive about the way that regulators operate. The Head of Novel Foods confirmed for me that the purpose of the legislation was to ensure safety of food and food ingredients. He also confirmed that the FSA has no evidence to suggest that CBD products are unsafe. It’s bureaucracy for bureaucracy’s sake. In my opinion, a flagrant waste of taxpayers’ money, that’s our money, when there are so many more important things we could be spending it on. For me, as a Brexiteer, it’s more reinforcement of the reason I voted leave. We have more than enough busy body bureaucrats in the UK without more and more layers of it from the EU. It should be instructive to everybody of the way that civil servants’ minds work that this attack on our industry was made surreptitiously through the EU when we’re supposed to be freeing ourselves of those shackles. As a wider point, if we’ve got civil servants kicking their heels, desperate to interfere in something new, why don’t they get on with regulating the entire cannabis market properly? The immense damage that the £6 billion criminal market causes in our society is something that really does need intervention. So, going back to the MHRA’s intervention in the CBD market in 2016. There had been mutterings for some months but it was Dan Culbertson of Love CBD who tipped me off that something was actually happening. I spoke to some of my key contacts, particularly Tom and Tony of Love Hemp and I approached the MHRA seeking a meeting. As in most cases like this, its first resort was to try and ignore us but eventually I had the Conservative MP, Crispin Blunt and the neurologist Professor Mike Barnes write to the chief executive. They were both members of the CLEAR board and that did lead to the MHRA agreeing to meet. This was the creation of the Cannabis Trades Association. As well as Love Hemp I invited other key contacts to attend the first meeting and then offered the job of running the CTA to an individual who you all know, who at the time Tom, Tony and I were in partnership with as he was supposed to be running a licensed industrial hemp farm for the extraction of CBD oil. The progress of the MHRA’s intervention followed a path which seems to be strangely repeated in what is now happening with the FSA. That is, it came in very heavy handed and aggressive to begin with, threatening action which it really didn’t have the authority to implement but then it backed off quite quickly when we stood up to its bullying and demonstrated a professional attitude. Based on the clinical trials that GW Pharma were conducting with Epidiolex, its cannabidiol medicine, I proposed a maximum daily adult dosage of 200mg as the most important element of an agreement that would enable CBD to continue to be sold as a food supplement. Now, even to this day, the MHRA has still not confirmed its agreement to this (last they told me was that they are still ‘considerin’g it) but in practice it has accepted it. Again, this should be instructive to all of us about the way that bureaucrats work. The other big issue, of course, was about not making medical claims and for the two years that I worked intensively as part of the CTA, we did a good job of bringing responsible businesses into compliance and, largely speaking, we had defeated the MHRA’s attempt to close the industry down. As many of you will know, I, and indeed Love Hemp, resigned from the CTA in October last year. Anyone who wants to know why can very easily find out. Just look at my personal website. Suffice to say that we had very grave concerns about issues of dishonesty and unethical conduct. I’m not going to say any more about that today but I am going to talk about how I believe a trade association should operate. Now this is not a pitch for members because CannaPro doesn’t have members in the same way as other organisations. It makes no difference to me or to CannaPro if you choose to give large amounts of money to another trade body. We see no necessity to charge large monthly fees for providing a service which directly supports CLEAR’s aims and objectives. As I said at the beginning, we see the development of the legal cannabis market as one of the most important drivers of cannabis law reform. Only if we can demonstrate that we can run responsible and legally compliant businesses in CBD and exempt products will we be able to claim we can do the same with products that contain THC. Also, we don’t believe it is desirable for a trade association to make money or turn into a bureaucracy itself. It’s the businesses that should be making a profit and building resources for themselves. A trade association should not be about empire building, its focus should be on the businesses it is supposed to support, not on itself. So while I don’t rule out CannaPro ever charging membership fees, for now the only time we ask for money is when we carry out a review of a business’s products, website, marketing methods and trading standards. This then enables us to offer any necessary advice or guidance on compliance and if we are satisfied to certify the business, so that it can display a CannaPro Certified badge. We charge a £120 one-off application fee for this and there are no further ongoing charges. Similarly, CannaPro will always publish all its advice and guidance openly. We can see no purpose in keeping it secret or operating behind closed doors when our intention is to support the industry as a whole. We have communicated openly about our recent negotiations with the FSA and we will continue to do so. If you follow CannaPro we will keep you apprised of the latest developments as they happen and we will not insist you have to become a member and pay fees in order to share in this intelligence. Another important principle is that CannaPro represents the industry to the authorities and not vice versa. We are not an extension of government, doing its enforcement work at our members’ expense. It is our job to stand up to meddling, interfering bureaucrats and to push back at them. We will defend this industry against attack without requiring it to fund a new bureaucracy in its trade association. For instance, we entirely support the prohibition of medical claims for CBD products. This is not a new thing and clearly before anyone can claim medical benefits for anything it must be subject to testing and verification. The alternative is that we will have snake oil, nothing more than coloured water, offered as a cancer cure and to be fair, we have already had almost exactly that in the CBD market. If any of you have ever come across a joker trading as Sacred Kana, that is exactly what he is doing. 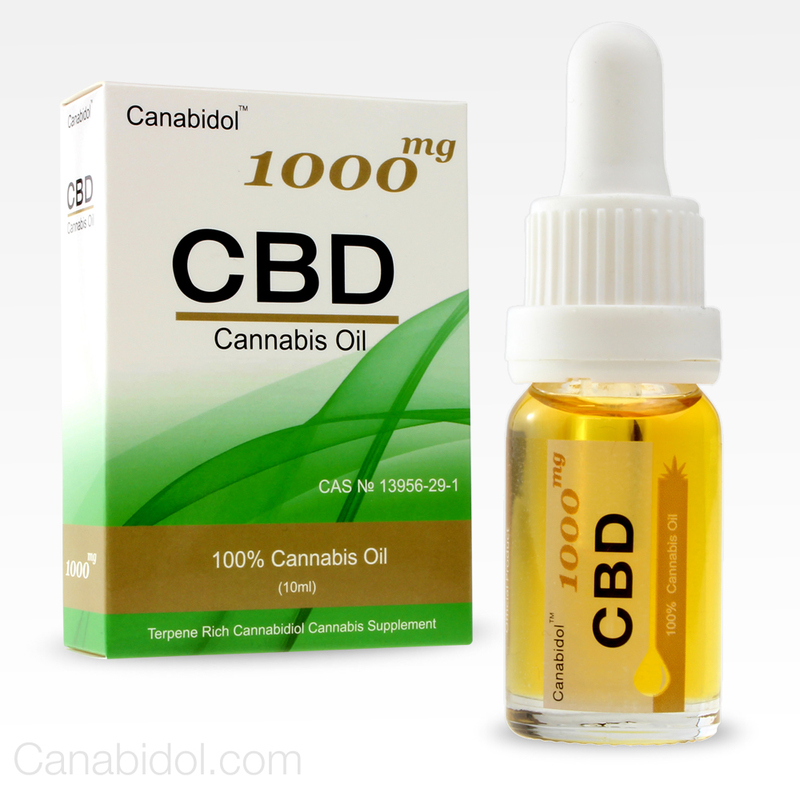 Claiming to sell 10,000 mg of CBD for less than fifty quid which will cure you of stage 4 cancer. He’s an extreme case. There are others operating along the same lines and frankly I do think people like this need strong action against them. They should go to jail and be permanently restrained from ever running a business. But the trouble is the MHRA is doing virtually nothing about enforcement. Similarly, the FSA, which declared CBD isolate a novel food over a year ago, is doing nothing about enforcing that. Really medicines regulation in this country and across the first world is broken, unfit for purpose and entirely self-serving for the pharmaceutical industry. The process, administered by the MHRA, has been designed for the pharmaceutical industry by people who used to work in the pharmaceutical industry and it is incapable of regulating a plant based medicine. Everyone involved has a vested interest in prolonging the process and extending its complexity because the millions spent on clinical trials go into companies which are owned by the pharmaceutical industry. There was a study published in the Journal of Molecular Neurobiology last year which identified CBD as an ideal candidate for a fast-acting, effective anti-depressant with few side effects. But the reality is that to obtain a marketing authorisation in the UK or the EU or an FDA licence would take many, many years, tens of millions in investment and would result in a much higher price than necessary. But as it stands that is the only way to develop a medicine that can be prescribed by a medical profession that is so risk averse it has forgotten how to care for patients. Just since the new regulations on medical cannabis last November I have lost count of the number of reports we have received where a consultant flatly refuses even to consider cannabis but will prescribe opioids in a prescription that can be repeated simply by asking for it. And the British Paediatric Neurology Association says that using CBD for epilepsy should be the last resort. Literally they say try brain surgery, slicing into a child’s brain, before trying CBD. So we have these bureaucracies which are supposed to be acting in the public interest but they’re marking their own homework, ensuring their former and future colleagues benefit from the regulations they impose with fat fees and lucrative contracts and preventing anyone who isn’t part of their club from having any chance of getting a licence for a medicine. They overreach themselves, attempting to set rules and regulations often beyond their lawful authority (the Home Office is a particularly heinous examples of this) and then, when these regulations are breached, they’re not even enforcing the most serious infringements. An example in point is the question of hemp teas. Now if these are made from leaf and flower, they are cannabis and they are an illegal, class B drug which theoretically could get any of you selling them 14 years in jail. But this has never been enforced and CannaPro will certify businesses that sell hemp teas. We will not certify businesses that sell CBD flowers or buds because these are cannabis and their THC content is irrelevant to their legal status. Yet there’s no enforcement of this going on. There are shops in virtually every town in this country openly selling low-THC cannabis flowers and nothing is being done about it. Now this is wrong. These businesses are stealing your business when you are doing your best to operate within the law and they should be stopped. Even when cannabis is fully legalised, there will still be regulations that need to be enforced. Believe it or not, I was contacted by the drugs lead at West Midlands Police just last wek asking for my advice on hemp flowers, so I told him. I confirmed they are illegal and I explained to him why and how they cannot be classified as exempt in the same way as CBD oil. And what I said to him was the same as I would say to anyone else. If you’re going to break the ridiculous law which prohibits adults accessing cannabis, then my advice is have some THC in your buds. It makes no difference under the law whether your flowers have 0.2% THC or 20% but I know which I prefer. So it’s about balance. It’s about being sensible. The MHRA says a link to a study about CBD for anxiety is an implied claim of medicinal benefit. Strictly speaking it probably is but provided it’s not part of a concerted attempt to present products as medicines then it would not stop that business being certified by CannaPro. CannaPro is on the side of the entire industry whether you’re certified by us or not because this industry’s future is the future of cannabis. We are not exclusive of anyone. We are inclusive. You can have our advice and guidance without charge. And we are in the vanguard of developing CBD medicines. All the work I do for CLEAR and CannaPro is voluntary. I get paid nothing for it. I make my living as a writer and marketing consultant but more and more as an advisor on cannabis product development and licensing. I am working with clients on the development of products which can be marketed under the new regulations as Cannabis-based Products for Medicinal use – CBPMs. Also on products for which we will apply for a Traditional Herbal Registration – THR and for veterinary CBD products which require a marketing authorisation from the VMD. As I published when I first created the CTA, the intention was to establish a trade association that would represent to government the interests of those engaged in legitimate production and sale of cannabis products. Those are the values and the purpose which we carry forward in CannaPro and I look forward to working with a many of you as possible in that cause towards ending forever the prohibition of cannabis. When Sajid Javid introduced the new regulations on cannabis for medical use last year, it brought hope to hundreds of thousands of people. Now the NHS is routinely letting patients down and refusing to provide the medicinal cannabis they need. The law no longer stands in the way but many people are in despair at the cruel and ignorant response of the medical establishment and NHS bureaucrats. Not least the parents of Billy Caldwell and Alfie Dingley, the high profile cases of children with severe epilepsy, whose stories provoked the media outcry that eventually forced a stubborn government to take a proper look at the evidence. 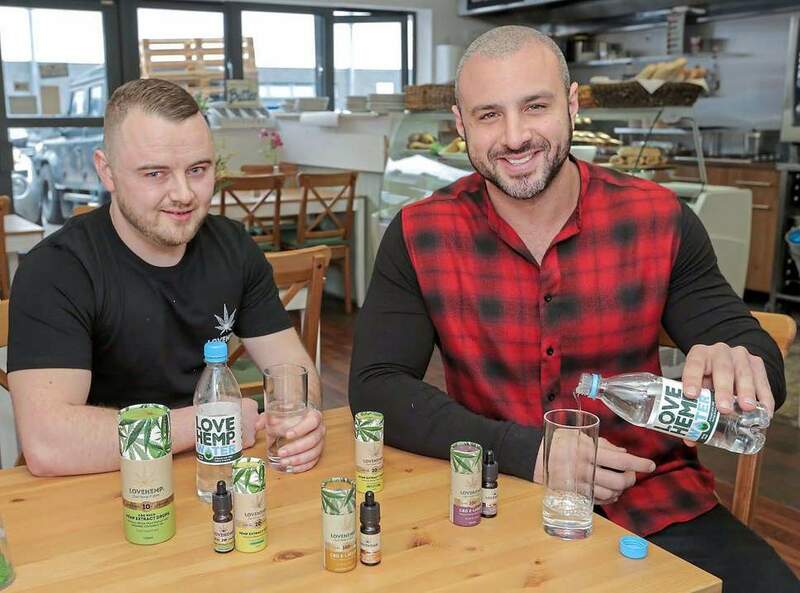 Remarkably, small CBD businesses are stepping up when the NHS is letting people down and offering to provide CBD free-of-charge to those in desperate need. And these really are small businesses, little more than the internet equivalent of a corner shop. Even the largest of them is tiny compared to the financial turnover of the smallest NHS hospital. The owners of these small CBD businesses are funding these donations out of their own pockets and not asking for any PR or publicity in return. 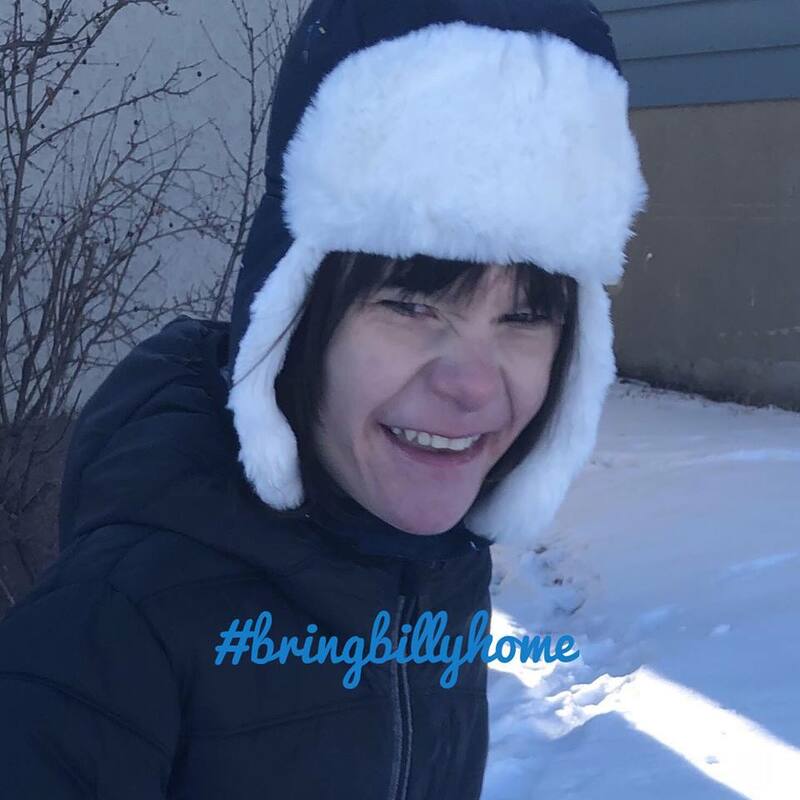 Billy Caldwell is exiled in Canada again because there is not a doctor in the UK who has the courage or the care to prescribe the cannabis oil he needs containing a small amount of THC. This is mainly due to the inaccurate and, it has to be said, negligent guidelines from the British Paediatric Neurology Association, which has recommended against prescribing even tiny amounts of THC to children. Its guidance is based on a misguided interpretation of evidence on the harms of adolescents smoking large quantities of high THC cannabis as a recreational drug. Billy is OK because a consultant neurologist in Canada who understands cannabis as medicine has prescribed an oil with THC which is working perfectly for him. It’s just that he’s away from his home and his family. The doctors and NHS bureaucrats at the Belfast NHS Trust don’t care about that. Their primary concern is sticking by manifestly stupid guidelines to protect their own careers within the establishment structure. Take note that the media, so keen to publish Billy’s story before, has lost interest. He’s still being reported as the poster boy for UK medical cannabis reform but the cruel irony is that the reform has failed him. Another case in point is Alder Hey Children’s Hospital in Liverpool. There, one consultant neurologist is prepared to follow the evidence, rather than sticking with failed pharmaceutical medicines. He has prescribed medicinal cannabis for at least two children with epilepsy but the hospital management has stepped in and cancelled them, refusing to allow his clinical judgement to prevail over their bureaucratic procedures. Both children are in severe distress. 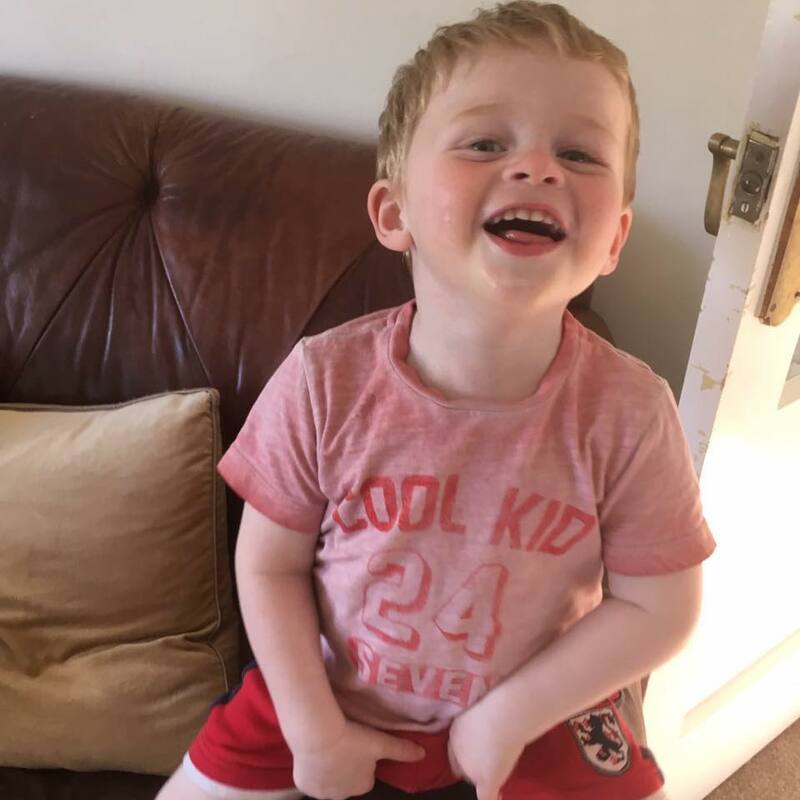 Alfie Brocklebank has Tuberous Sclerosis Complex (TSC) which causes him to have many seizures every day, each one of which is life threatening. The medical director at Alder Hey said he did not meet the criteria to be prescribed medical cannabis so his parents started buying CBD at a cost which soon reached £170 per week. Alfie’s mother Ellen is a nurse, so she knew what she was doing. Alfie’s seizures stopped. But Alder Hey still refused to prescribe Epidiolex, the GW Pharma CBD medicine, and they wouldn’t help with the cost of the over-the-counter Canabidol CBD which was working so well. 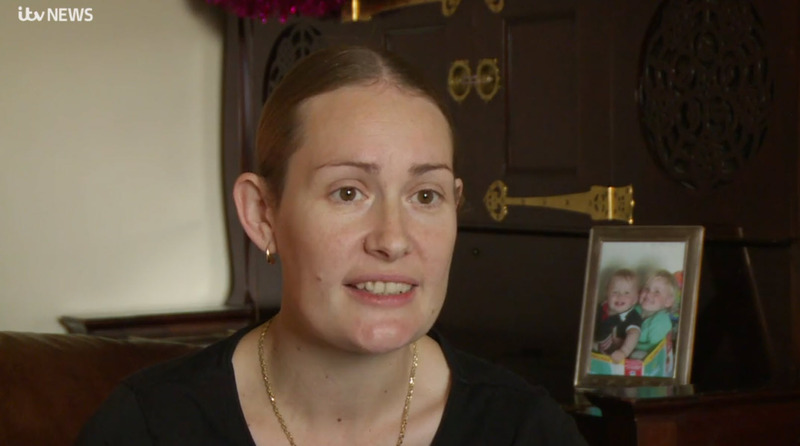 The family simply couldn’t afford to keep spending £170 per week on the oil. See Alfie Brocklebank’s story here as reported by ITV News. It was Billy’s mother, Charlotte Caldwell, who reached out to CLEAR. Canabidol CBD is a CannaPro Certified business, endorsed by CLEAR as an ethical supplier of legal, high quality CBD products. As soon as we spoke to Tom Whettem, CEO of Canabidol, there was no hesitation. He immediately undertook to provide the oil that Alfie needs at no cost – and there was no question of wanting anything in return. “Alfie is starting play school next week. Before we started the CBD this would not of been possible as he was just to poorly and having lots of seizures. Alfie going to a main stream play school with his sister is a huge milestone. A number of other CBD companies have now stepped forward and offered to supply oil to people in need who have been turned down for an NHS prescription. As a result, CLEAR, through its trade association Cannabis Professionals, is launching the CannaPro CBD Compassionate Access Programme. Applications should set out details of the patient’s condition, any experience with CBD so far and an explanation of the refusal to prescribe on the NHS. Please email applications to cbdaccess@cannapro-uk.org. All applications will be confidential and considered by a small sub committee of the CLEAR Executive Committee. Where we are able to recommend that a patient join the programme we will inform the applicant and introduce them to a donor company. Donor companies will be allocated in strict rotation according to the date they first offered to participate.